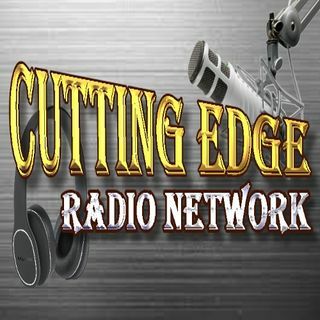 Cutting Edge Radio Network Features Radio Talk and Music Shows and Live Streaming Programs. Supporting Podcast and Old Time Radio Shows. Also found on Good Music Radio. Golden Age of Radio - Good Old Radio Podcast. The old-time radio era, sometimes referred to as the Golden Age of Radio, was an era of radio programming in the United States during which radio was the dominant electronic home entertainment medium. Paradigms and Law of Attraction. Learn to apply to everyday life! Hosted by Rob Scribner. Featured on Good Talk Radio. Welcome to the Rangerrob Morning Show. Our goal is to get you going in the morning with a little humor, great music and a little Redneck atmosphere. Featured on Good Music Radio and Good Talk Radio. Welcome to Rangerrob's "Rednecks Rule The World" Radio Show. Someday, when stuff hits the fan, we will be the rulers. We will rock you, feed you and make you laugh. Join us today! RV Travel and RV Living News Talk Radio. Our mission is to bring all forms of RV products and Services. We bring RV fun and RV Information to our listeners. Join us today and add your voice to the show! Playing LIVE 1pm, Arizona Time, 4pm New York Time. Now Featured on Good Talk Radio Station Weekdays, at 5pm, Arizona Time. Welcome to He said, She Said Relationships and Love Show! Join Lisamarie Monaco & Helen Cernigliaro, Rob Scribner ... See More & Derek Renschler Talking about Love, feelings, and Relationships. Featured on Good Talk Radio. Good Talk Radio Features Radio Talk Shows and Live Streaming Programs. Also supporting Podcast and Quality Talk Shows. Entertainment 24/7! You can alway count on Good Talk Radio to run respectable, and informative program of shows. I truly believe our media is out of control. With so many cable news networks, it a battle for ratings, causing fake news and over reporting. There is so many countries and issues we need to hear about, I find it amazing that cable news networks can stay on one subject all day. and national, world news needs to tell us whats going on in the whole world, not the soap opera of the white house. I believe any president, Democrat or Republican have good hearts, and mean well. It's clear our politicans are only worried about the next election, not American problems, or people.